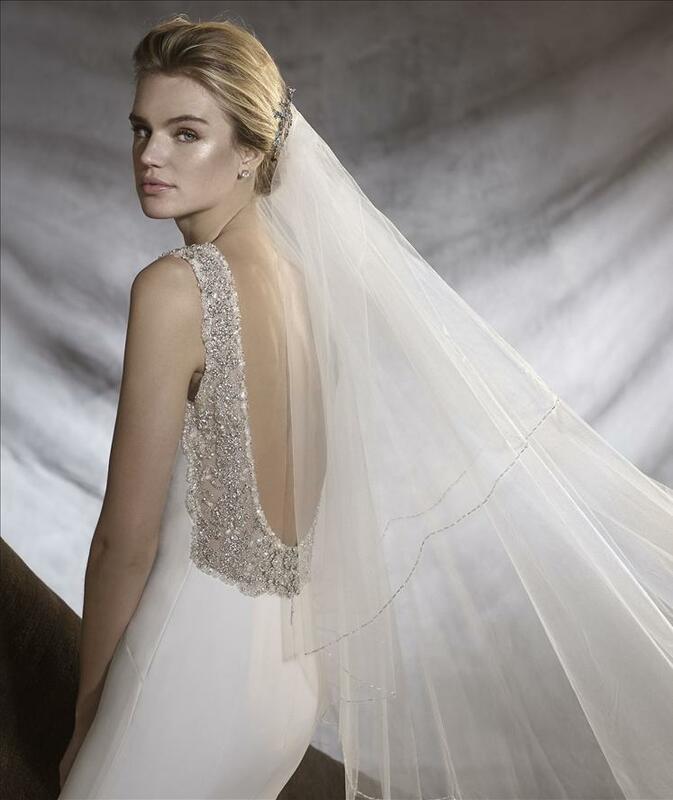 A radiant, jewel-like wedding dress in crepe and tulle embellished with gemstone decorations on the back. A flattering style, fitted to the hips, with a bateau neckline and floaty skirt. A real show-stopper!